It is broad spectrum insecticide having contact and stomach action. It is compatible with most of the commonly used pesticides except those of alkaline materials. 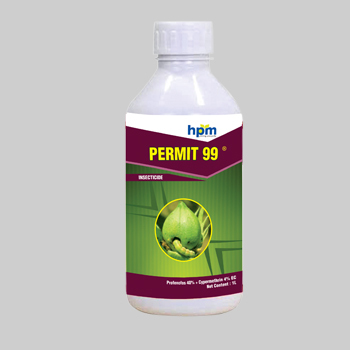 It is a foliar insecticide with acaricidal properties for use in action. It is synergistic in activity especially in situations where some resistance to organophosphate and or synthetic pyrethroid, insects have developed. It has excellent translaminar effect and readily absorbed in plant cells thus not affected by rainfall. Profenofos is cholinesterase inhibitors. The separate optical isomers, due to the chiral phosphorus atom, show different types of insecticidal activity and ability to inhibit acetylcholinesterase. 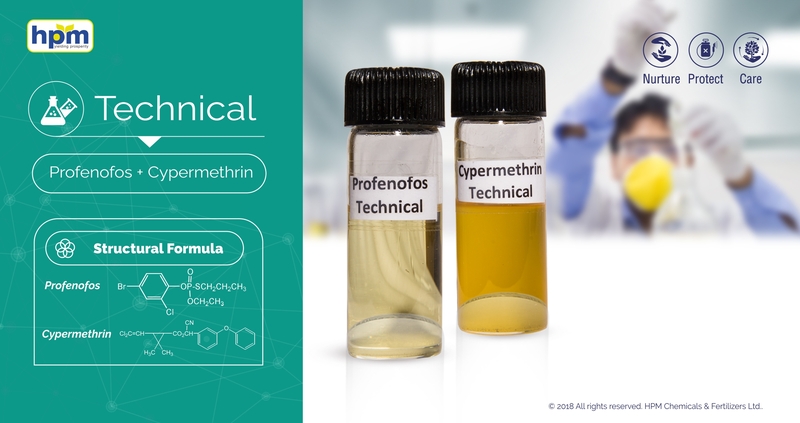 Cypermethrin acts on nervous system of the insect, and disturbs the function of neurons by interaction with the sodium channel. Profenofos is non-systemic insecticide and acaricide with contact and stomach action. Cypermethrin is non- systemic insecticide with contact and stomach action. Acidity (H2SO4),percent by mass, (max).